General freight rate bases were implemented to level the playing field between the carriers. Often, most shippers do not know there is an opportunity to utilize the carriers’ lower rates in lanes more attractive to shippers. In an effort to combat sky-rocketing costs, most major less-than-truckload (LTL) carriers announce annual general rate increases for non-contract shipments in the range of 4-6%. The effects of the increases will vary based on geography, lane, class, weight, and dimensions. 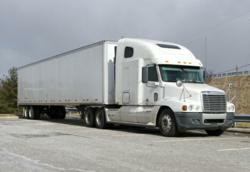 These rates typically affect minimum charge LTL and truckload rates and accessorial charges. These GRI come at a time when the LTL freight industry continues to see improvements to varying degrees for price and volume, especially when compared to 2009, when the industry made up significant ground from the Great Recession. Additionally, these rates are due in part to tighter capacity and steady rate gains since 2010. Because the industry was born in a regulated pricing environment, these GRIs continue, and over time LTL freight carriers have changed from announcing these GRIs from the first of the year to the middle of the year. The average shipper may work with LTL freight carriers to try and achieve general discounts or to establish specific lane pricing to combat increased rates. However, one must contact them all, put contracts in place, and then manage the entire process. Often, working with a third party logistics company who can negotiate such intimate details based off the analysis of your freight history and freight data will achieve even more cost savings through both buying power and negotiation experience with multiple carriers. For the 16th year now of GRIs, Cerasis has worked with several carriers to re-establish new contracts for each shipper, yielding bottom line savings for the shipper but also maximizing profitability with the LTL freight carriers. A specific one-to-one contract for each Cerasis shipper with carriers who will offer the greatest impact allows the Cerasis carrier relationship management team to successfully manage and maintain any type of rules and contract changes through transparent, collaborative, and business outcome-focused communications with our carrier partners. If freight rate changes are required by a carrier, they are not made in our system until the carrier submits the rates to our team and approves the requested rate change with the carrier.